Trash can replacement icons for Halloween. Is there a better alternative to Trick or Trash? Is Trick or Trash really the best app in Icons category? Will Trick or Trash work good on macOS 10.13.4? Trick or Trash... Halloween slithers closer this week with our latest freeware set. 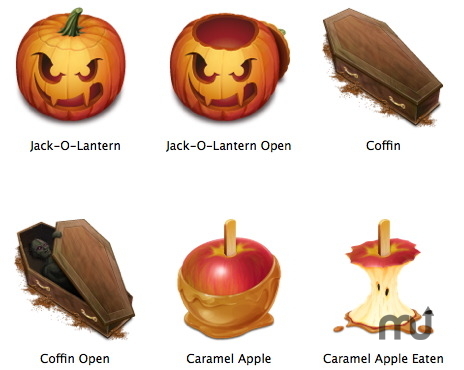 Trick or Trash, Anthony Piraino's latest icon release, is a Halloween-themed trash can replacement set. Creep out your Dock before it's too late! Trick or Trash needs a review. Be the first to review this app and get the discussion started! Trick or Trash needs a rating. Be the first to rate this app and get the discussion started!